I haven’t been talking blogging very seriously when I started my first blog on WordPress, The Travel Diaries as the blog on fiction, The Divine Epic came much later. I just posted something about any random journey of mine and logged out, not bothering to think further about what I had written and on who all were reading the posts. The procedure continued for quite a long time with no change at all. I wrote, I posted and I got out of WordPress, but things had to change. 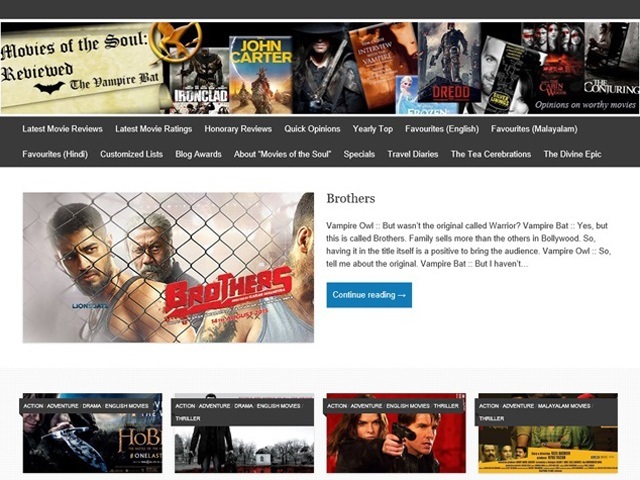 My most read blog, Movies of the Soul had mostly readers from outside India, and there was almost nobody from my home country reading my posts. Most of the visitors were from the United States and there were a fine number of readers from the United Kingdom and the United Arab Emirates. As Jesus said, “no prophet is welcome in his hometown”, and that much I found as I searched for explanations to why I have so many less readers from India. Well, I reviewed Hollywood movies more than the Indian flicks, and that should have been the answer. It was during my time of not knowing anyone from the blogging world that I came across Namrata and her blog, A Lexical Tapestry. I hadn’t been adding people from the blogging world before that, surely not to my Facebook, and she happened to be the first person from this blogging era to add me on the social media. So she became like the only person I personally knew in WordPress, BlogAdda and IndiBlogger combined. She also came with a Liebster nomination for me with her first message. I have been reading her posts for more than an year now, and even though I was slightly disappointed that she shifted to Blogspot from WordPress, I later felt that it was another opportunity to go through another blogging platform. Her determination and variety in writing was an inspiration for me at that time. Even though I have loved to read almost everything that she posted, I remember her post about Sir Boast-A-Lot more than the rest. There she goes back to her favourite program, Sherlock, and explains what she calls “evil beauty” (The Vampire Bat likes that a lot). She explains the same in fewer words, but you have to love it when a post against the deadly sin called vanity works so well. Another one I remember more than the others is her poem about Ganges, and a comparison there to the imagery of a woman’s life. Then there are the points that she raises about God and His relation to man has a lot of beauty associated to it! Yes, blogging has been more of a platform to express myself, but it has also been a place to know others, and relate to those who think alike. I have found better people in the blogging world than I have found throughout my life, and this is no exaggeration. Seriously talking more about it, there is almost nobody whom I can relate with, in my neighbourhood. People still ask about the point of blogging. During this age, Namrata happened to be that blogger who became my first inspiration. I have always enjoyed going through her ideas and having long discussions about the same. She supported me a lot during my early stages of blogging. 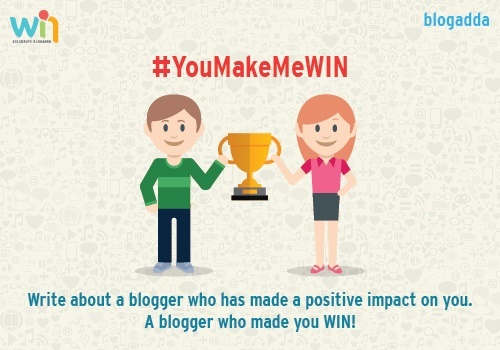 I’m blogging for #YouMakeMeWIN to honour a blogger who has influenced me and deserves to be nominated at WIN15. ***The image used in this blog post is also taken from the WIN15 activity from BlogAdda. Thank you Anita for this wonderful award: (https://icecandy16blog.wordpress.com/2015/02/14/my-first-blogging-award). I believe that the Valentine’s Day is becoming more and more fake every year. I have found the early morning, best time to read and study. I can’t stand the dubbed versions of English movies on television channels. I need more hours on a day – may be I should travel to Venus and claim them. I believe that opinions should be respected and nobody has the right to abuse in return. I feel that a movie experience is more personal than any other. I support American Sniper for the Best Movie at the Oscars this year. I have been nominated for the Versatile Blogger Award by Moon Roy (http://footlooseforever.com/2015/02/04/versatile-blogger-award-it-feels-great-to-be-appreciated/). I have fallen in love with the never-ending running games on Android. The first city I visited outside Kerala was Kolkata. The first nation I traveled abroad was Singapore. I haven’t traveled away from home for a distance more than seventy five kilometres for about six months now, and that is a new thing. 2. I hope to keep blogging till the end of days. 3. I have felt that cats can be better among the best friends. 5. My favourite fruit is the Star Fruit (Carambola). 6. I am mostly vegetarian, even as non-veg will be tried if needed. 7. I wish to see an Indian French Open winner. 1. I believe that I am living in the wrong time period and require a time machine. 2. I don’t feel that the end of the world is a bad thing, because there is equality in death. 5. I have bad teeth, and even had awesome root canal. 6. My favourite ice cream is of Blackcurrant flavour, followed by Orange and Pineapple. 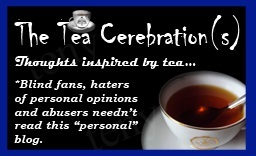 Hoping that this kind of awards are a nice start, I have kept a page separate for the same, which can be accessed from the top bar of the blog 😀 (https://theteacerebration.wordpress.com/blog-awards/). Shweta has some inspiring stuff at her blog too, where I am a regular reader. 1. I support Sanju Samson as the next wicket keeper of the Indian Cricket Team. 3. The farthest I have traveled is to Glasgow, Scotland. 4. Among the non-Keralite cities to which I have traveled in India, I love Kolkata the most. 5. I don’t like my chances of getting a job. 6. I believe that I am going to get hit by a reckless driver when on road, sooner or later. 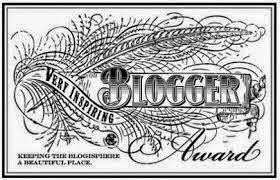 I am glad to announce a first time for this blog: Jay Shah (http://thoughtburps.wordpress.com/) has nominated my blog for Very Inspiring Blogger Award! Yes, there have been a long list of awards for my other blog Movies of the Soul (http://moviesofthesoul.wordpress.com/blog-awards/) and also a few for my Travel Diaries, but this is the first one for this blog. I have always believed more in death than in life, and I hope for a better world after death. I don’t usually trust people. It has never been my kind of thing; may be I can get a superpower for that. I hate crowds. I would prefer to be left alone or with just a few people, because it feels better. I don’t believe much in winning. I rarely give much value to it. Doing your part well is the better thing. I have become a cricket hater from cricket lover, and the credit for the same goes directly to BCCI as it is now, and I thank them for saving lot of my time. I am a jobless person with not much hope for getting to work in this birth or the next – not even in inferno or purgatario. Nominate 15 bloggers, linking to them.